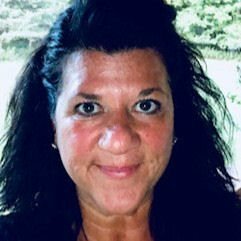 Denver, Co. – November 26, 2018 – Snowshoe and Alterra Mountain Company announced today that Patti Duncan has been selected as President and Chief Operating Officer of Snowshoe Mountain Resort in West Virginia. Duncan has been with the destination since 2000, serving most recently as interim President since September 2018, and will move into the permanent position effective immediately. 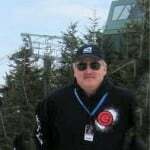 Duncan has a vast background in the mountain resort industry with more than 18 years spent at Snowshoe in several capacities, including Vice President, and Director of Retail, Rental, Outdoor Adventure and Spa. Under her leadership, she has focused on new growth areas, resort-wide operational planning, and event integration. Duncan is replacing Frank DeBerry who remains with Alterra Mountain Company and in September was appointed President & COO of newly-acquired Crystal Mountain Resort in Washington. Duncan will report directly to David Perry, President and Chief Operating Officer of Alterra Mountain Company. 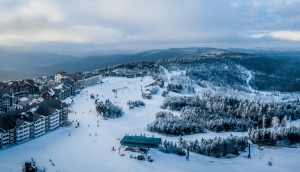 Snowshoe opened for the 2018/2019 winter season on November 21, 2018. Alterra Mountain Company is a family of 14 iconic year-round destinations, including the world’s largest heli-ski and heli-hiking operation, offering the Ikon Pass, the new standard in season passes. The company owns and operates a range of recreation, hospitality, real estate development, food and beverage and retail businesses. Headquartered in Denver, Colorado, with destinations across the continent, Alterra Mountain Company is rooted in the spirit of the mountains and united by a passion for outdoor adventure. Alterra Mountain Company’s family of diverse playgrounds spans six U.S. states and three Canadian provinces: Steamboat and Winter Park Resort in Colorado; Squaw Valley Alpine Meadows, Mammoth Mountain, June Mountain and Big Bear Mountain Resort in California; Stratton in Vermont; Snowshoe in West Virginia; Tremblant in Quebec, Blue Mountain in Ontario; Crystal Mountain Resort in Washington; Deer Valley Resort and Solitude Mountain Resort in Utah; and CMH Heli-Skiing & Summer Adventures in British Columbia. Alterra Mountain Company honors each destination’s unique character and authenticity and celebrates the legendary adventures and enduring memories they bring to everyone. For more information, please visit www.alterramtnco.com. Snowshoe Mountain is the perfect year-round destination for adventure-filled vacations in West Virginia. Snowshoe covers a total area of 11,000 acres in the Appalachian Mountain Range and includes the second highest point in the state at 4,848’ elevation. Snowshoe was chosen as the Best Ski Resort in the region by the readers of Blue Ridge Outdoors. The Snowshoe Bike Park was recently named the #1 Bike Park in the Southeast and Mid-Atlantic Regions by MTBParks.com. Snowshoe offers extensive lodging options, fully developed mountain biking trails, a popular golf course designed by Gary Player, wedding and convention areas, and a wide variety of summer outdoor activities. Snowshoe Mountain Resort is part of Alterra Mountain Company. Please visit www.snowshoemtn.com for more information. Next articleBoy howdy! What an amazing weather-swing over the last 24 hours!